This code was developed in support of NASA GSFC MSESIIA contract. 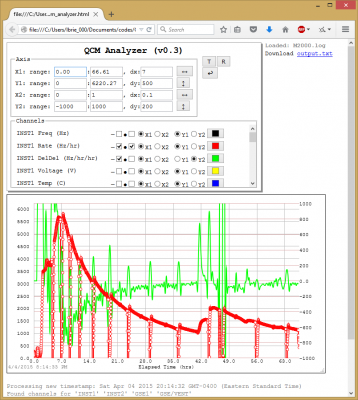 The code is released under NASA open source agreement “GSC-17514-1, HTML QCM Analyzer“. Copyright © 2015 United States Government as represented by the Administrator of the National Aeronautics and Space Administration. All Rights Reserved. Please let me know if you find a bug or the analyzer does not load your file. Support for additional file formats can be added as needed. 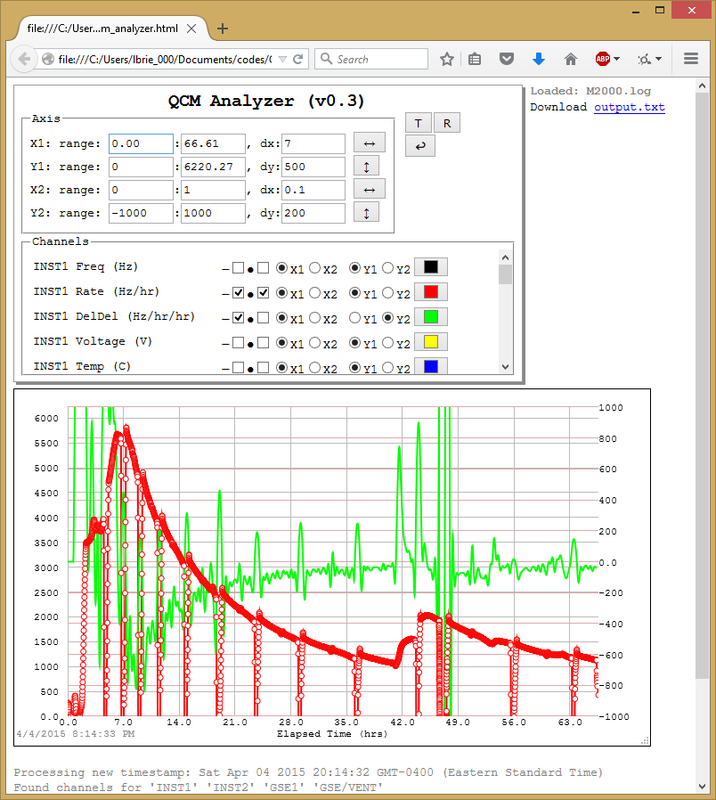 Below is a screenshot of the analyzer in action.